TUCKER, Ark. 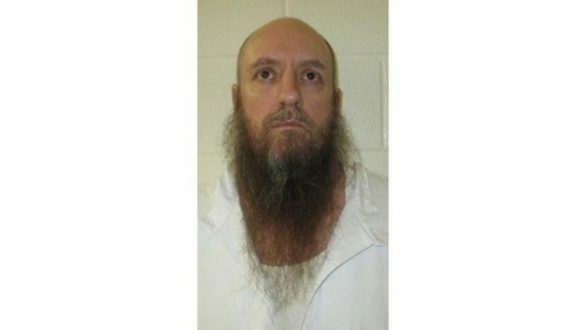 (AP) - Arkansas prison officials say an inmate at a maximum-security unit serving a life sentence from a Boone County case has died after he was found unresponsive in his cell. Harrison Daily Times archives indicate Spurlock, who was from Martinsville, Ind., entered a guilty plea to attempted capital murder in Boone County Circuit Court in 2006. His girlfriend, 20-year-old Latoya Nicole Randolph of Mooresville, Ind., was charged largely as an accessory in the case. She also pled guilty and was sentenced to 20 years. In April 2006, Arkansas State Police Corporal Robert Meek tried to stop the vehicle Spurlock was driving. However, Spurlock fled and a chase ensued, but it finally ended when Spurlock parked the car. Spurlock then exited the stolen vehicle and opened fire on Meek with a sawed-off shotgun. Meek was hit with a single blast in the left arm and chest, but he also was able to return fire from his service weapon and hit Spurlock twice in the left side. Spurlock entered a guilty plea and accepted the maximum penalty possible, rather than the possibility of a trial in which he could present mitigating circumstances that might lessen his sentence. Randolph appeared before Circuit Judge Gordon Webb and admitted her involvement in the case. However, she also pleaded guilty to unlawful discharge of a firearm from a vehicle stemming from an incident that occurred the same day as Meek's shooting. Randolph pled guilty to shooting at a pickup on Sansing Hollow Road earlier that day while riding in the stolen vehicle. Two men were standing by the truck at the time when a bullet hit it. Both Spurlock and Randolph pled guilty to burglary of two houses in Boone County, as well as theft of property. A third suspect and a passenger in the car that day, 25-year-old Brian Otto Holzheimer of Harrison, like Randolph pleaded guilty to lesser charges and was sentenced to prison as well. The following year, Trooper Meek of Harrison received the 2006 Arkansas State Trooper of the Year Award. At that time, Corporal Meek was a 32-year veteran of the department, assigned to Highway Patrol Division, Troop I in Harrison. Corporal Meek was also named among three state troopers to receive the Arkansas State Police Medal of Valor that year, recognizing the incident the prior year evolving from an attempted enforcement stop beginning with a speeding violation. Despite his wounds, Corporal Meek was able to return fire, wounding Spurlock, then reported his position by radio to Troop I headquarters and requested assistance.